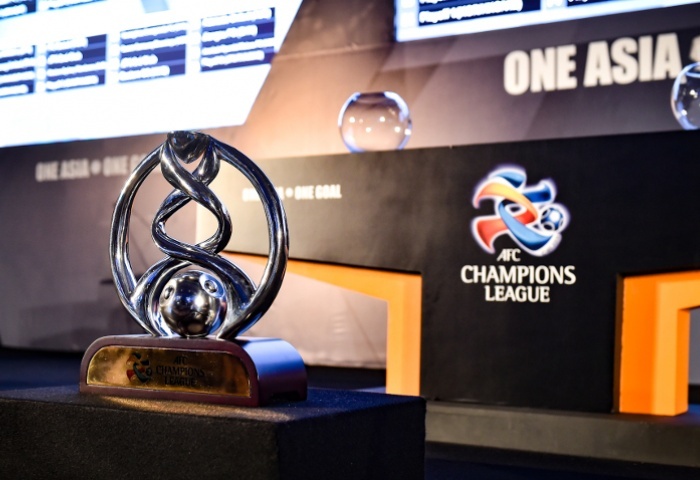 Yesterday, the draw was held for the 2017 AFC Champions League, with Korea’s four representatives: Jeonbuk, Seoul, Jeju, and Suwon Samsung learning (at least a little) about what to expect next year. There is still some uncertainty for all the teams as various playoffs and other matches will slightly alter their group opposition. But, let’s take a look at what to possibly expect! In basic, Japan (like Korea) has four ACL spots. Three for the top three J League sides and one for the winner of the Emperor’s Cup (just like Korea has for K League and KFA Cup). Kashima Antlers won the J League playoff thing and have qualified for the ACL as Japan’s ACL spot 1 team (champions despite finishing 3rd overall in the table). Again, Kashima are the only J League side we definitively know about in terms of where they will be in the ACL. Urawa Reds topped the overall J League table from the two stages, but since they lost in the playoff final to Kashima, they are technically 2nd for Japan. As such, they will be Japan’s ACL spot 3 team unless Kashima win the Emperor’s Cup, in which case they would go up to Japan’s ACL spot 2 team. In this case, Gamba Osaka would qualify for Japan’s ACL spot 4. Kawasaki Frontale finished 2nd in the overall J League table, but again because of the playoffs they end up as Japan’s 3rd side behind Kashima and Urawa. So, they would normally qualify as Japan’s ACL spot 4 team, but if they win the Emperor’s Cup they will jump up to Japan’s ACL spot 2. Should Kawasaki win the Emperor’s Cup, then Gamba Osaka will take Japan’s ACL spot 4. Quick recap, Kashima, Urawa, and Kawasaki are in, but the latter two’s final positions are still up in the air. The eight sides currently in the Emperor’s Cup are: Yokohama F. Marinos, Gamba Osaka, Kashima Antlers, Sanfrecce Hiroshima, Omiya Ardija, Shonan Bellmare, FC Tokyo, and Kawasaki Frontale. So, whoever wins this thing on January 1 will qualify as the spot 2 team (except Kashima) and face FC Seoul. 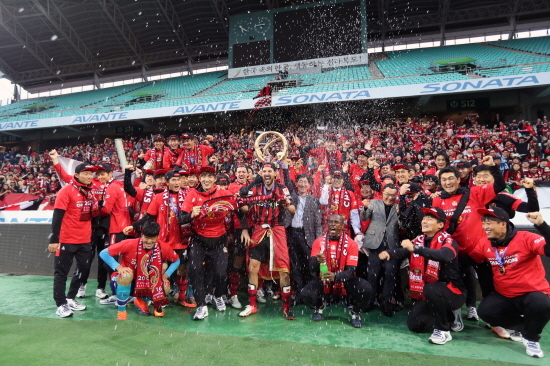 If Kashima wins it, then Urawa will take on Seoul. If Kawasaki wins, then Gamba is in, and likely would go up against Jeonbuk in group H (the Japan spot 4 side will go into the playoffs). We’ll revisit this once we have a bit more clarity from Japan and the playoffs, but let’s chat a little about what each Korean club will (likely face). Jeju will officially start in the playoff round, facing the winner of Kitchee (Hong Kong 2) and Hanoi T&T (Vietnam 1). One should never count their chickens before they hatch of course, but Jeju should beat either of them to qualify for the group stage. Despite being the ‘lowest’ seeded Korean side, Jeju could arguably get the easiest group stage draw. Most J League watchers seemed unimpressed with Kashima winning the title (they finished 15 points behind Urawa in the overall table), and while the quality in southeast Asia is improving, they are still a good step or two behind Korea. Shanghai Shenhua or Brisbane Roar should provide a stiff test whoever qualifies, but Jeju will likely fancy their chances at qualifying out of this group. 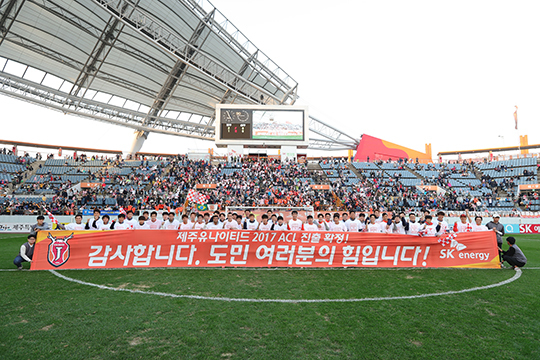 The K League champions will face off against Western Sydney Wanderers for the third time in four years (2014 semifinals, 2015 group stage, 2017 group stage). Shanghai SIPG will almost definitely qualify from their playoff match against one of Sukhothai or Yadanarbon. The Chinese outfit brought in big-name manager Andres Villas-Boas during the offseason (replacing Sven Goran Erikkson), and features players like Brazil internatioal Hulk, and on-and-off Korean international Kim Juyoung. 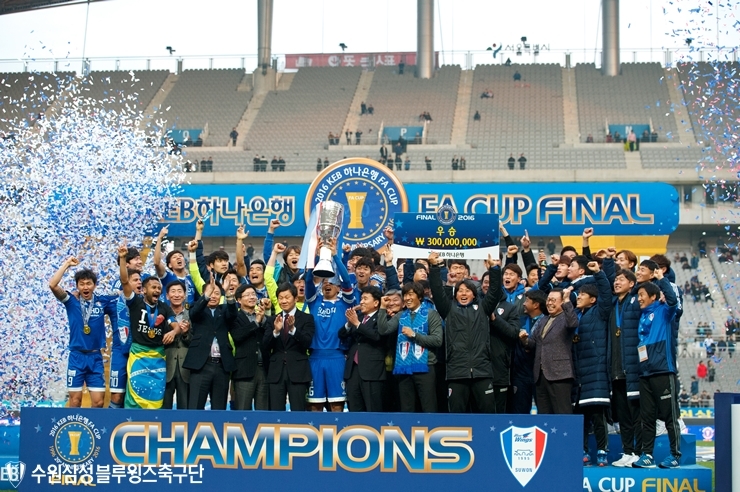 Suwon’s reward for winning the KFA Cup is to get probably the toughest draw on paper in the ACL. They get six-time defending CSL and two-time ACL champion Guangzhou Evergrande as well as one of Japan’s best sides from 2016 in Kawasaki or Urawa. This will potentially be an interesting group to watch. Suwon was embarrassing for much of 2016, but they kicked it up at the end. Evergrande won another CSL title, but massively underperformed in the 2016 ACL, failing to make it out of their group. The holders will get A League winners Adelaide United and big spending CSL side Jiangsu Suning (managed by former FC Seoul boss Choi Yongsoo). Jiangsu has a number of big name players including Brazilians Ramires and Alex Teixeira, and Korean international Hong Jeongho. Jeonbuk will also likely get Japan’s ACL 4 team in either Kawasaki or Gamba. Once there is more clarity on the teams and where they will go, a second post/update will come out with the definitive groups and other Koreans who play abroad. Stay tuned!